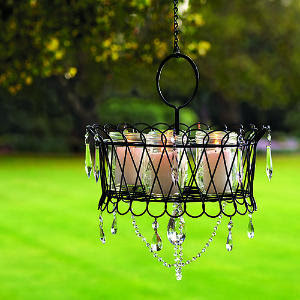 Make this great outdoor Chandelier from Sunset. With a simple wire basket and glass beads or crystals strung along the edges, you can create this great chandelier. Add a few votive candles…instant ambiance. Enjoy these summer nights!